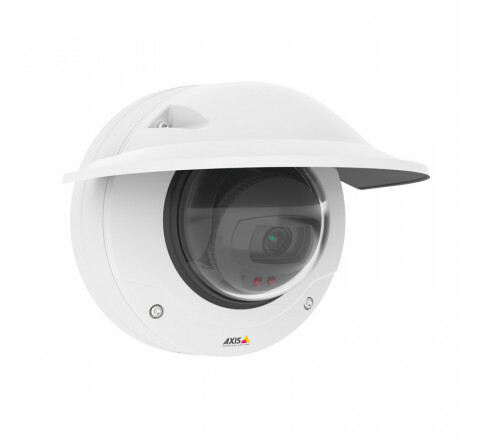 Day/night fixed dome with support for Forensic WDR, Lightfinder and OptimizedIR illumination. IK10+ vandal-resistant outdoor casing. 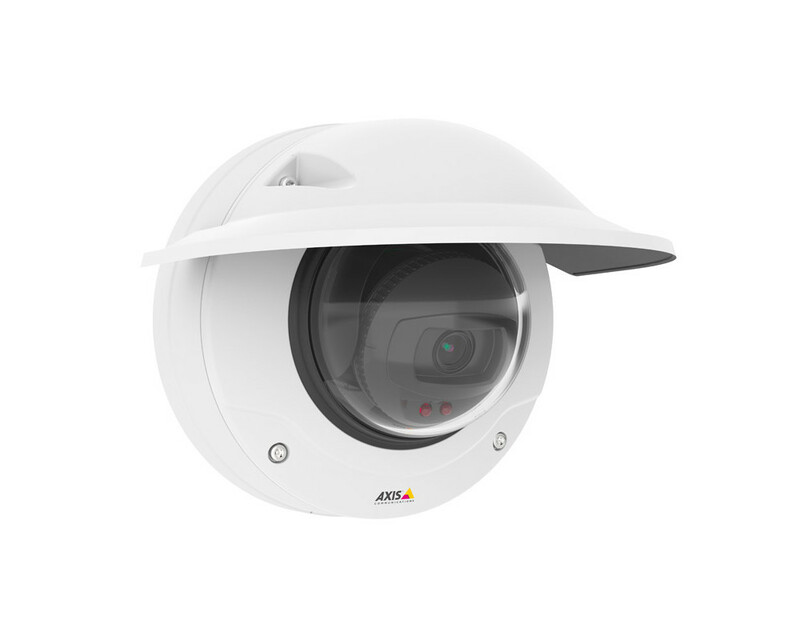 Varifocal 9-22 mm P-Iris lens with remote zoom and focus for installation or monitoring. Multiple, individually configurable H.264 and Motion JPEG streams. 1080p at 30 fps with WDR and Lightfinder, and up to 120 fps without. Zipstream for reduced bandwidth and storage. Fence Guard, Motion Guard, Video motion detection, shock detection and active tampering alarm. Two-way audio and audio detection. Supervised inputs / digital outputs for alarm / event handling. Electronic image stabilization. Memory card slot for optional local video storage. Operation in -50 ºC to 60 ºC (-58 ºF to 140 ºF) powered by standard Power over Ethernet or 8-28V DC power with redundancy. Midspan and power supply not included. Includes mounting bracket for wall or junction boxes and weather shield against sun, rain or snow.